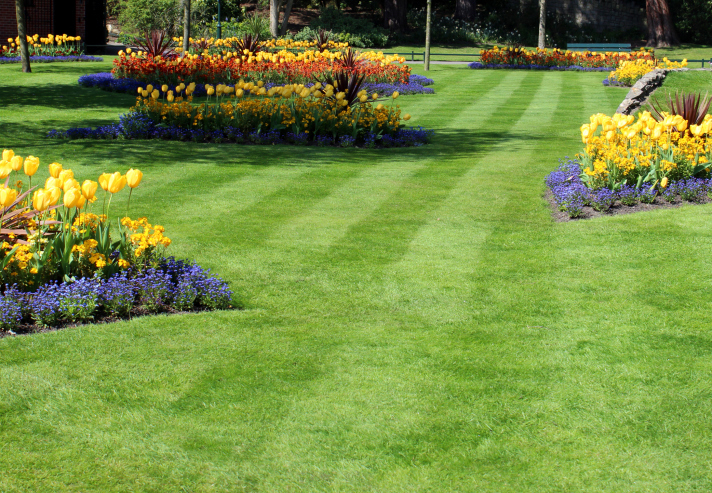 A beautiful lawn doesn’t have to be a hardship. Follow these steps to simplify your lawn care. Yes, you can proudly have the best-looking lawn on the block without being a slave to a lot of extra maintenance. The secret is to stay one or two steps ahead of typical problems, such as weeds, bugs and malfunctioning equipment. The best news: Some of our tips don’t require a minute more of your time. January: Prepare your mower. Make sure blades are sharpened and balanced, the oil is free of condensation, and belts and spark plugs are in good condition. If you have a battery, make sure it’s fully charged. February: De-thatch your yard. This helps prepare your lawn for better nutrient absorption, and gives roots space to grow. For larger lawns, using a power rake makes thatch removal easier. March: Give it a good raking. This gets rid of any remaining thatch you uprooted, as well as other debris, so there’s nothing hindering new growth. April: Fill in any bare spots. Before you replace turf, try to figure out why the area is bare. If it’s getting more shade or higher traffic than the rest of your yard, you may want to choose a different type of Harmony Turfgrass. Be sure to change mowing patterns each time you cut your grass. May: Get in the habit of changing your patterns each time you mow. Alternating directions helps to reduce soil compaction and prevent wheel marks. June: Ensure your lawn is not over- or under-watered. Most Harmony Turfgrass does fine with about one inch of water each week. When in doubt, use the screwdriver test: If you have difficulty pushing a screwdriver into the ground easily, your lawn probably needs a drink. July: Adjust your watering and mowing schedule. It’s best to do both in the morning or evening, when it’s cool. You’ll avoid stressing your lawn, and you’ll be a lot more comfortable. August: Aerate warm-season grasses, such as St. Augustine and Bermuda grass. Among the benefits, this stimulates root growth, increase oxygen to the soil, and decreases water run-off. Cool season grass folks, just keep mowing as usual, remembering to take off just 1/3 from the tip of the leaf blades. October: Mow one last time. 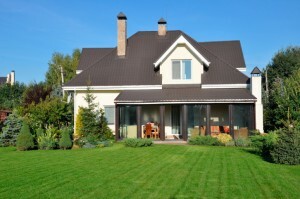 Shorter grass is less likely to develop mold or diseases. Ideally use a mulching lawn mower to add nutrients back into your soil. If not, rake your leaves and use them in plant beds. November: Mulch any leaves on your lawn. 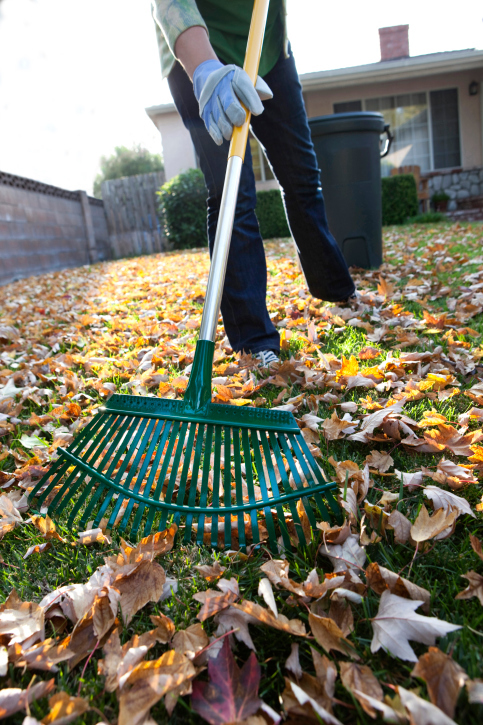 If you don’t have a mulching lawn mower, consider raking leaves and pine straw, then use them to protect plant beds. They’ll gradually decompose and add nutrients to the soil. December: Winterize your lawn mower. Giving it a little loving attention before you store it for the winter will help ensure that it will start up when you need it next year. Giving it a good cleaning may also extend the life of your mower, and help you to avoid costly repairs. Store it inside a shed or garage. If there’s no room inside, make sure that it’s kept fully covered.